Just before the Comic Strip Festival earlier in the year, I took myself off on a photo-walk following the Brussels Comic Book Route. 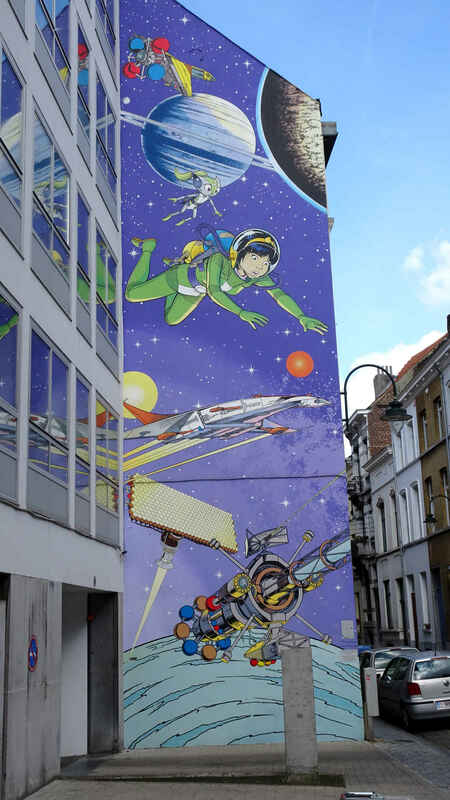 Brussels is proud of the Belgian comic book tradition, which stretches back to Tintin in 1928 (and earlier). 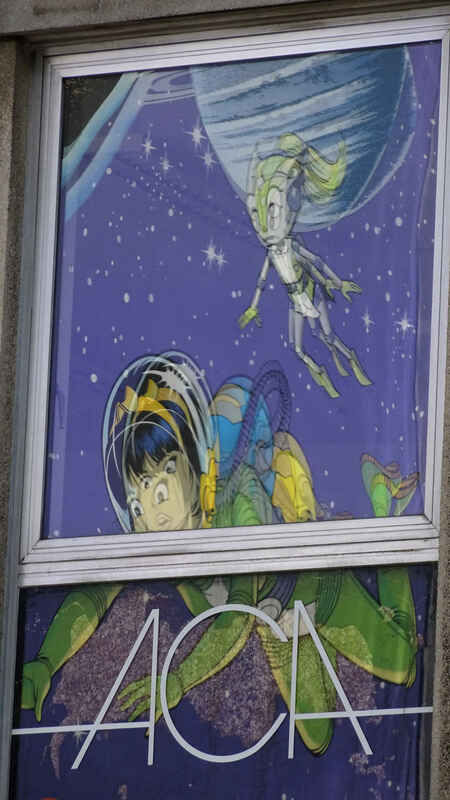 Celebrating this, Brussels has decorated house gables across the city with comic-strip frames. The City of Brussels tourist offices can provide a printed map so you can follow the route. Or you can follow it in virtual reality on line here. At the time I published my photo essay from the Festival it felt like too much of a good thing to follow up with more comic strip photos. This week, though, I’m travelling and rather busy with personal matters. 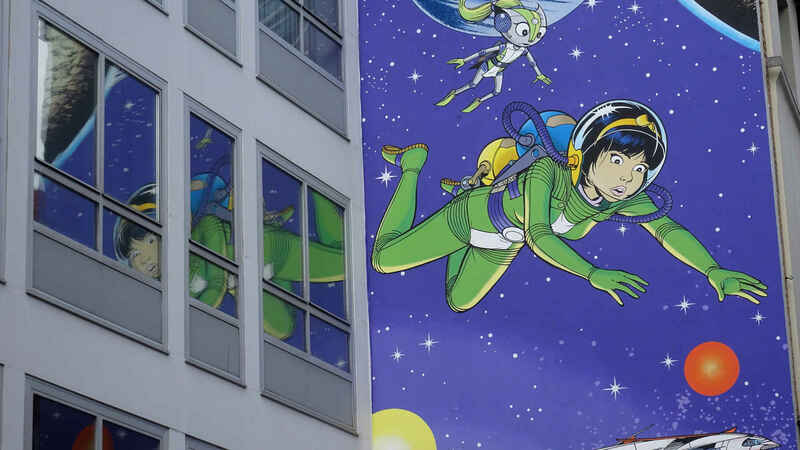 It feels OK to share these photos of the Yoko Tsuno cartoon at Rue Terre-Neuve. Yoko Tsuno is Japanese engineer. Her adventures on Earth and in outer space started in 1970 and currently run to 27 volumes. Sad to say, most are not available in English. Read more about her on this Wikipedia page. As you see (below), I do try to do more than just reproduce other people’s artwork. I was pleased to find the following reflections in the windows on either side of the street. I originally published this article on the separate Stops and Stories website. Transferred here 31 Jan 2017.